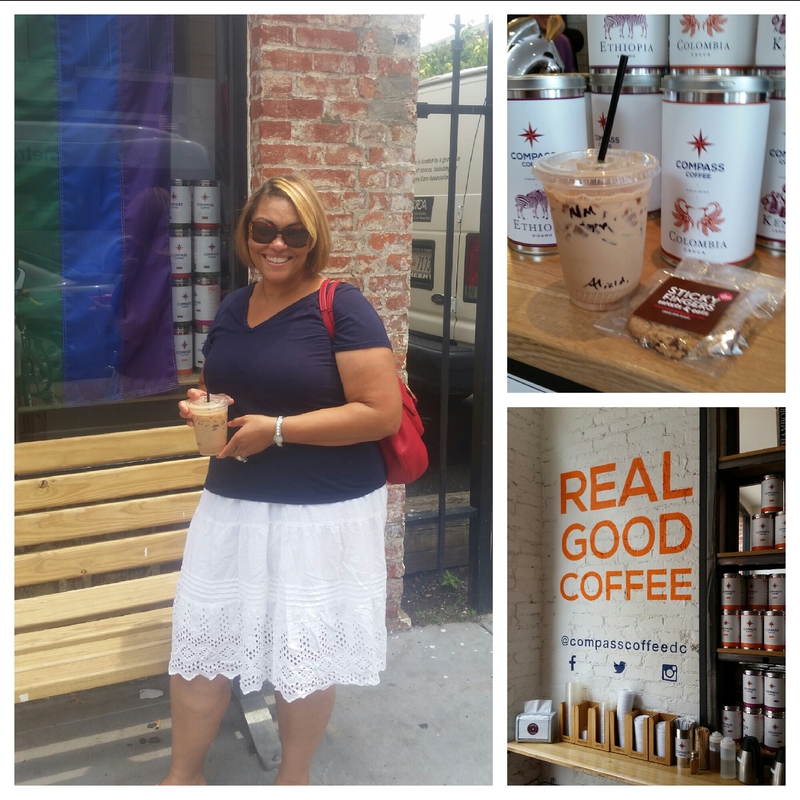 Today my family and I visited Compass Coffee in the historic Shaw neighborhood in Washington, DC. It is clear that the proprietors of this establishment are serious about making good coffee. One distinguishing hint is that they roast their beans on-site in “The Lab”. Another good hint is that they choose their beans from various importers at the peak of freshness! This can only result into one thing…..”a real good cup of coffee!” How impressive is that??? Great customer service and a really good cup of coffee is what we received at C.C.! I had the Nutella Mocha- Iced and slightly sweetened. I seriously almost did a small dance when I took the first sip! Whoa, was it good. My husband had his new favorite, Nitro-slightly sweetened with caramel syrup. It had a very rich but smooth taste. We also had assorted cookies. My daughters said they were amazing:) Other interesting menu items are coffee cola, assorted teas and sandwiches. If you live in or around DC or find yourself visiting, check out Compass Coffee (www.compasscoffee.com) where they are doing it good and right. Categories: Uncategorized | Tags: Compass Coffee, cookies, DC, espresso, java, latte, Roasters, tea, Washington DC | Permalink.